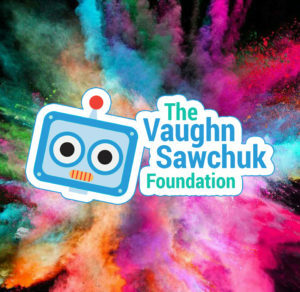 The Vaughn Sawchuk Foundation and Running Room are getting ready to tie our laces on Sept 3rd for a fun Color Run. There is a 1 kilometer run for the little ones with the 5 and 10 kilometer run followed shortly after. An event the whole family can participate in. The choice is yours but you should most definitely be here. 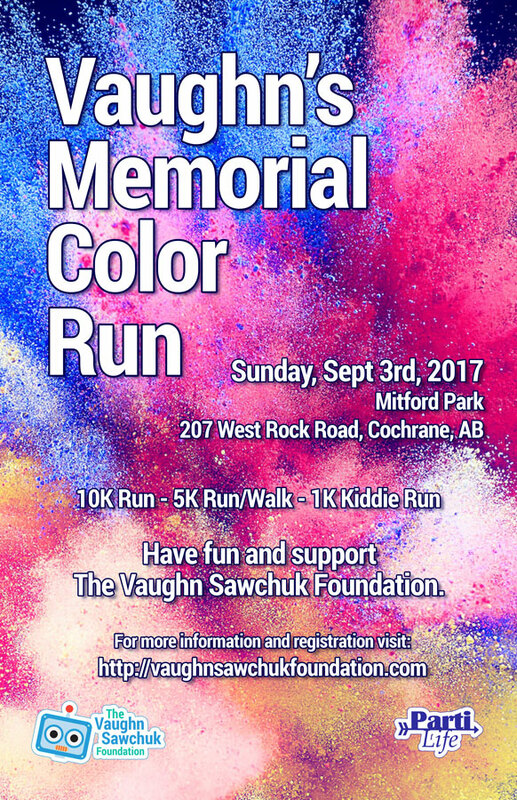 With colored powder bursts all throughout the course your body acts as a moving canvas running along the scenic Bow River all within the wonderful town of Cochrane Ab. Check out this link and involve yourself, your support helps the longevity of the Stollery Children’s Hospital. Is there a way of booking for 5 of us instead of individually? Hi there, can I still register for this event as it says online registration is closed? Hi there! Yes! We are accepting walk up registration at 8:30 at Mitford Park. Kiddie run begins at 9 🙂 Hope to see you there! 4th Annual Sweating for Vaughn!